Having without a driver license, Alvin Straight was determined to visit his brother -- even though he had to use a lawn mower. The Straight Story is a biographical drama film directed by David Lynch in 1999. The film tells the story of Alvin Straight, an elderly WWII veteran who decided to visit his estranged brother Lyle after hearing that he suffered a stroke. Alvin’s legs and eyes were too impaired for him to receive a driving license, so he rode a 30-year-old lawn tractor with a maximum speed of 5 miles/hour to travel for hundreds of miles. Believing the story can entertain and stimulate children’s imagination, the developers at meikme designed an interactive storybook based on Alvin’s journey. It took Alvin six weeks to travel from his home to his brother’s. 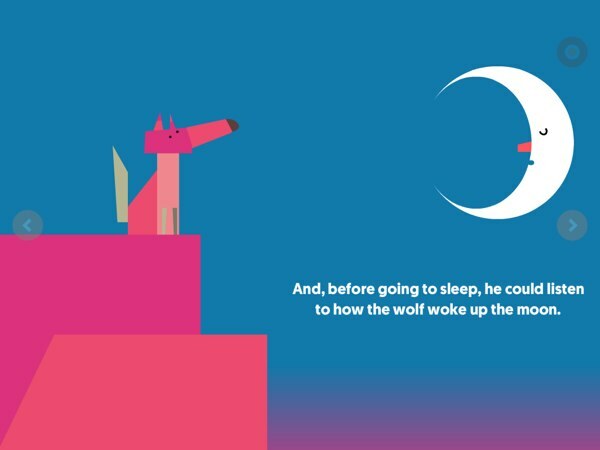 This storybook aims to relive that long journey in a kid-friendly way. For example, the app illustrates Alvin as a friendly old man with a white beard and a red cowboy hat. 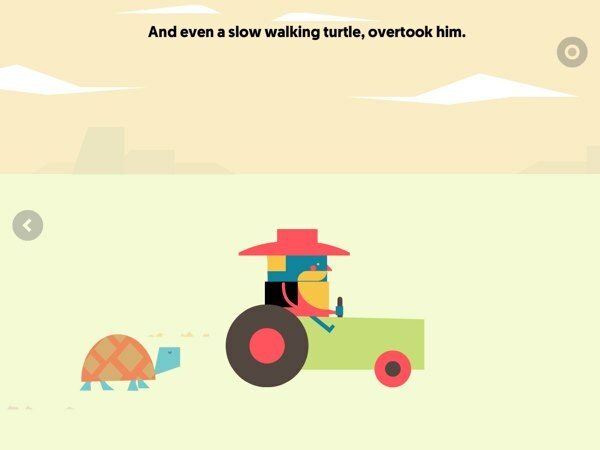 It also shows how his lawn mower is really slow — even slower than a turtle. Throughout the long journey, you will share Alvin’s experience: how his slow lawn mower let him listen to the birds singing or how he can enjoy the colors of the sunset. Alvin didn’t really care that he was moving really slow, instead he took full advantage of it. He took the time to play with the fish in the river, and with the crazy squirrels. He didn’t stop even though it rained, instead he enjoyed watching the rainbow after the rain. The Journey of Alvin is available in English and Spanish. The developers has managed to recruit two great voice actors: Pepe Mediavilla for the Spanish narration and Nicholas Guy Smith for the English narration. You can change the language setting alongside with other options, such as autoplay and text, in the parents menu. You can use Alvin’s story as a way to teach your kids that process matters as much as the end-product. You can share your own life experiences, emphasizing on the important moments and the relationships you have with people who matter to you. Hopefully, your kids can see things a bit differently after reading this story. The lawn mower was so slow that even a turtle is faster than the mower. If you pay attention to the illustrations used in this app, you will notice that all the characters and objects are drawn as simple graphics based on the combination of geometric shapes. If you point this out to your kids, hopefully they can be inspired to create their own objects from simple geometric shapes. The Journey of Alvin also includes a good amount of interactivity. You can, for example, sling the birds that are perching on the electric cable, and shake the iPad to make leaves fall on the ground. There is a good balance between reading and interacting within the app. The narrator will first read the text on the page, then you can set out to discover little things such as laughing with the crazy squirrel, or dragging the sun to set it down. Alvin traveled day and night, enjoying the scenery and the animals he met along the way. The Journey of Alvin is a beautiful adaptation of the 1999 classic film that kids ages 4+ can enjoy with their parents. Alvin Straight is a great character who will inspire kids to respect their elders. With proper guidance and encouragement, parents can use this story to help their kids appreciate life moments.